The heat is on and summer is in, and before you knew it, it's Easter once again. If you haven't had the chance to book an out of town trip for the longest weekend of the year, check out these hotels where you can indulge in a quick escape complete with delectable gastronomic delights and fun activities this Easter. Hop on to F1 Hotel Manila as they “egg-up” gumdrops, lollipops, and cupcakes, along with your other favorite confectioneries for a sugar-filled Easter adventure. Be in your sweetest and colourful ensemble and dart your way to the hotel’s Infinity Ballroom on March 27, 2016 from 10:00 AM to 2:00 PM for the most anticipated sugar-rush adventure. Exciting activities are in store for all candy lovers including glitter tattoo, donut decorating, egg painting, loot bags, balloon twisting, games, complimentary treats, and more. A traditional Easter Egg Hunt is also set at the F1 Candyland. Glam up and put your rainbow colors on as the best dressed will be surely in for a treat! F1 Hotel Manila’s Easter Candyland is in partnership with Universal Robina, Kettle Corn, Fun Ranch, and Regent Foods. Ticket is priced at Php 968 nett per person inclusive of brunch buffet. Kids aged two (2) and below are free of charge. Adult companions and guardians are charged at full ticket price. Discovery Suites Ortigas takes kids and adults alike for a Lenten weekend worth remembering with its fun family activities and special room offers. Gather your family and friends for an opulent holy week getaway. Special rates start at Php 5,000 nett in a Junior Suite from March 24 to 27, 2016. It’s time to unleash our children’s creative side. Guests that will avail of the special room offer are entitled to choose among Alessandra Lanot’s stamping station, rubber stamp carving or calligraphy workshops. Classes will be on March 26 and 27. Families may bond over movies from March 24 to 26. Children may also join an Easter egg painting activity on March 26. The winner will win an overnight stay in a deluxe suite at Discovery Country Suites, Tagaytay. The Lenten weekend is an opportunity to escape the hustle and bustle of the city. Why not drive south and go on a vacation you duly deserve? Discovery Country Suites, Tagaytay is just an hour-drive away from Manila and it sure will guarantee the idyllic getaway you are longing for. Bring your family or friends and relish comfort in our uniquely-themed suites. Rates start at Php 12,500++ in a deluxe suite from March 24 to 27, 2016. Room packages comes with Verbena Country Breakfast, wine and cheese at sunset and milk and cookies at turndown good for 2 persons. An Easter event is never complete without the classic “Easter egg hunting”. Hunt for the golden egg to win an overnight stay in a business flat at Discovery Primea, Makati. Starting at Php 8000++, enjoy a luxe getaway with the family that comes complete with complimentary gourmet breakfast, a round of drinks at Plunge Pool Bar, special welcome and turndown treats, and 20% savings at Terazi Spa (except for Hammam). Guests staying for three or more nights enjoy 15% savings on their room, starting on the third night. As an added treat for those checking in between March 24 to 27, Discovery Primea will be having a “Count the Golden Eggs” game for a chance to win an overnight stay for two in Discovery Country Suites in Tagaytay. At Restaurant Tapenade this March, seafood takes centerstage with two new additions to the menu. The pasta of the month, Linguine al Nero, is delightful squid ink pasta with clams and baby shrimps. This Lenten season, Tapenade’s Alaskan Black Cod Al Cartoccio doesn’t sacrifice on flavor, with an assortment of clams, Chilean mussels, and prawns, cooked in a lemon-parsley broth. For Holy Week (March 21-27), Restaurant Tapenade will be offering a celebratory set menu for lunch and dinner, featuring The Tapenade Salad Room, Garlic & Fennel Roasted Leg of Lamb, and a Black Pepper Panna Cotta. The sumptuous meal can be had for Php 2,000 nett per person, with children 12 years and below enjoying 50 % savings. Stay cool amidst the Summer heat, as Plunge Pool Bar offers guests some classic comfort food and cold drinks. Choose one appetizer from Canadian Steak Fries, Nachos with salsa, cheese, & sour cream, or Pizza (Pepperoni, Quattro Formagi, or Margherita for an additional Php 100); coupled with a carafe your choice of Soda, Guava Lemonade, or Vanilla Tarragon Iced tea. Enjoy the delectable duo pairings poolside, for Php 750++. Starting to feel the heat of summer? Cool down at Hyatt City of Dreams Manila's pool by booking our local rates starting at PHP 7,500+++ (Sunday to Thursday) and PHP 8,600+++ (Friday to Saturday). Plus, check out these culinary treats at The Cafe! Grab your baskets and travel down to your urban oasis for a despicably great adventure at Edsa Shangri-La in its One in a Minion Easter Room Package. Stay for two consecutive nights and get 50% savings on the second night. Rate starts at for Php 6,500++ including breakfast at HEAT for two adults and two kids, 20% savings to the Easter Minion party and an access to the Health Club, Aqua Play and the Cub and Cubbies Kiddie Program. Room offer is valid for stays from March 19-17, 2016. Nibble into the heavenly goodness of fascinating finds with Edsa Shangri-La, Manila’s Easter treats such as colourful chocolate Easter eggs and bunnies in variety of flavors and sizes starting at Php 99.00, decadent specialty Easter egg and bunny cakes in four flavors – Praline, white chocolate raspberry, passion chocolate and super moist chocolate cake for only Php 1,200.00 each. Individual Easter cakes are also available – Milk chocolate dome, raspberry dome, louver cake and chocolate mousse brownies for only Php 220.00 each. All these goodies are available at The Bakeshop from March 20 to 27, 2016. From March 13 to 27, take a quiet luxury break in a boutique style setting for only Php4750nett for Deluxe room with complimentary access to our Easter Fun-tasy event on March 27, 2016. After a meditative evening, allow yourself and your family to choose from the hotel's international buffet breakfast spread at Midas Café for two adults and two children below 12 years of age. Guests are also able to stay connected in your social scene 24/7, have access to the Fitness Studio at the 3rd floor, 15% discount in-room massage services and 10% discount in spa treatments at Essenses Spa. Complete your Lenten stay with a visit to the nearby church on Maundy Thursday and Good Friday with our scheduled drop off shuttle service to reflect on this Holy Week. Live the spirit of Easter celebration, as a mass gathering will kick-off at the hotel’s Event Studio-Mayfair on March 27 at 10.30am, followed by a whimsical party for children which will be held at Station 1 of Midas Café from 11 a.m. to 2.30 p.m. Let the children have their time of day on this most-awaited Sunday celebration entitled “Easter Fun-tasy”, the venue will be transformed into the colorful, enchanting and magical world of Alice and Sheriff Woody– the lead characters of Alice in Wonderland and Toy Story which was the inspiration behind the theme. Station 1 gets decked out to welcome the little ones for an afternoon of frolic and fun. The magical fun activity begins with “Bring Me” games, balloon twisting and more. Then enter a world of enchantment with captivating magic and bubble shows. Of course, no adventure is complete without a photo booth to capture that moment with your loved-ones, Easter egg hunt and the popular Easter egg painting atelier. The “Midas Easter Fun-tasy” tickets are priced at Php600 net per kid, including children’s brunch buffet and Php888 net per adult. Children in candy wonderland inspired costumes get a chance to win amazing prizes from the hotel and sponsors. Furthermore, kids get a chance to win the latest iPad Pro in the grand raffle. Ticket price is at Php1,000 nett per person inclusive of a take home snack box. Diamond Indulgence Carholders will get Php 100 off on the price, maximum of 4 tickets only for purchase. Since it’s the season to relax and regroup, take a Holy Week vacation with the family without leaving the city. Available from March 19 to 27, 2016 for only Php 5,000 nett, relax in a Deluxe Room for an overnight stay that includes buffet breakfast for 2 at Corniche, use of the swimming pool, use of the Health Club and Spa, 20% discount on massage, and one (1) free one ticket (per room, per stay) to the Candy Wonderland Easter event. Book another room or stay another night and get the room at Php4,800 nett per night! Room only offer (excludes breakfast) is also available at Php4,300 nett per night. The room packages are applicable to local residents only. Prior reservation is encouraged. Offers may not be availed in conjunction with any other promotions or discounts. The Candy Wonderland Easter event is in partnership with Toy Kingdom, Lemon Square, Monde Nissin and San Miguel Foods. With a travel-inspired Easter playground and egg hunt in the Rigodon Ballroom featuring The Peninsula Manila's own Traveling Peter Bear, an elaborate Easter feast in Escolta and The Lobby, Easter Sunday brunch in Escolta, a visit from Peter Bear and a special Easter room package, few places welcome children over Easter as warmly as the 40-year-old Grande Dame of Makati hotels. A maximum of two children under 12 per table have complimentary access to the Traveling with Peter Bear Easter Playground and Egg Hunt in the Rigodon Ballroom. Extra tickets are available at Php 1,400 net per child. Explore the world by traveling with Peter Bear at The Peninsula Manila. A total play experience, the Traveling with Peter Bear Easter Playground on March 27, 1:00 pm to 2:30 pm will have elaborate and experiential decorations for children of all ages and their parents to enjoy! At 1:00 pm, the Easter egg hunt begins! There will be also a lavish Filipino Tapas Buffet at The Lobby on March 24,25 and 27, 6:00 pm to 10:00 pm. Prices at Php 1,650 (adults) and Php 825 (children under 12 years old). You may also enjoy Easter Afternoon Tea Buffet at The Upper Lobby on March 21 to 27, 2:30 pm to 5:30 pm. Php 1,600 (adults) and Php 900 (children under 12 years old). For those who would love to indulge in scrumptious bounty of the sea, the Seafood Dinner Buffet at Escolta on March 25 to 26, 6:30 pm to 10:00 pm is a great option. Php 2,200 (adults) and Php 1,250 (children under 12 years old). The Peninsula Manila can also help make the Easter holidays an unforgettable getaway experience with the Pen Days of Easter room package. Available from March 18 to April 3, the Pen Days of Easter room package includes an Escolta buffet breakfast for two adults and two children under 12, a P 1,000 dining credit at The Lobby (once per stay) and a special Easter gift. Room rates start at P 8,000 for a Deluxe Room. Restaurant and room rates are subject to 10% service charge and applicable government taxes. This Holy Week, enjoy a staycation in a stylish city retreat. At the Picasso Boutique Serviced Residences, experience a relaxing escape in the metro matched with delightful activities for the whole family. Take a moment to reflect when you join us in our Church Tour, which features seven iconic churches in Makati. Whether for a solemn Visita Iglesia or a means to see the religious gems of the metropolis, we know you’d be pleased with some peace and quiet while exploring new sights. If you think you’d rather stay in to relax and unwind, take advantage of free movie screenings that will surely light up your spirits. For indoor excitement and entertainment for the kids and young at heart, the Game Room would be a great place to start. Perfect for friendly competitions, groups could play Chess, Monopoly, and other fun board game options. Slow down and chill out without leaving the town. This season, it’s time to come to Picasso Boutique Residences. Where art and passion live. With breakfast for two on our Malaga/Madrid studio room. For local residents. Subject to availability. March 24, 2016 : Church Tour featuring seven churches in Makati. There would be 3 time slots; 2, 4 and 6pm. Slots are on first come first served basis. Consists of board games such as chess, monopoly, jenga, etc. Easter blessings starts with a hotel stay offer that will keep the family egg-cited for all the happenings this season. With room offers starting at Php 4,740++, families can enjoy an overnight stay with breakfast for two (2) adults, and two (2) kids aged six years old and below at Cucina. Guests who prefer to have the breakfast at Vu’s can enjoy this special offer starting at Php 5,500 net. Both room offers can be well-enjoyed together with the hotel’s complimentary WiFi service and access to recreational activities at the Fitness Centre and the indoor infinity pool at the 22nd floor. Selling period for these promos is from March 3 to 27, with stay period ranging from March 23 to 28. Gather together the whole family for a line-up of activities organized by the hotel for the guests to have a memorable family vacation this Easter season. Activities include painting workshops, chocolate-making, and cookie decorations, which will be held at the hotel’s function rooms on March 27, from 9:00 AM to 12:00 NN. Guests can participate in all egg-citing activities for only Php 1,250 net per person. This includes AM Merienda, as well as loot bags and giveaways. Delight in Cucina’s Easter lunch and dinner buffet on March 27 as it highlights the seafood bar, brunch item selections, and carvery. Cucina will also be preparing something egg-special for the little ones. Hand-sculpted Easter eggs, sweet treats, and decorate your own cupcake activity are just some of the many. Guests can book this festive lunch and dinner at Php 2,700 net. Afternoon Easter delights are offered by the Connect Lounge with its Easter High Tea. For only Php 888 net, enjoy freshly-made pastries to come with the self-indulgent Bunny Drink especially made for this season. Mini hot cross bun, egg tarts, choco-dipped meringue, rabbit muffins, and fruity ricotta cheese tartlet are just some of the delicious pastries guests can enjoy. This will be available from March 1 to 31. The Easter feeling does not end. A rich and creamy Easter cocktail drink can be guzzled for the whole month of March at Vu’s Sky Bar and Lounge. This drink is a mixture of fun and festive as it will have a unique presentation with the Easter theme. Top the Easter experience with an Easter Hamper available at Café Pronto. This hamper includes bakery-fresh pastries such as a box of six of macarons, cross hat buns, a tin can of cookies, Columba de Pascal, and eight-pieces of surprise Easter eggs, all for Php 2,900 net. Café Pronto will also be serving its Bunny Drink for the whole month of March that guests can savor. New World Makati Hotel offers a getaway that combines leisure with entertainment. From March 20 to 27, 2016, guests can enjoy an “egg-stra” special Easter Room Package stay in a Superior room for PHP6,200 or a Deluxe room for Php 7,200 per night; room rates are subject to taxes and service charge. 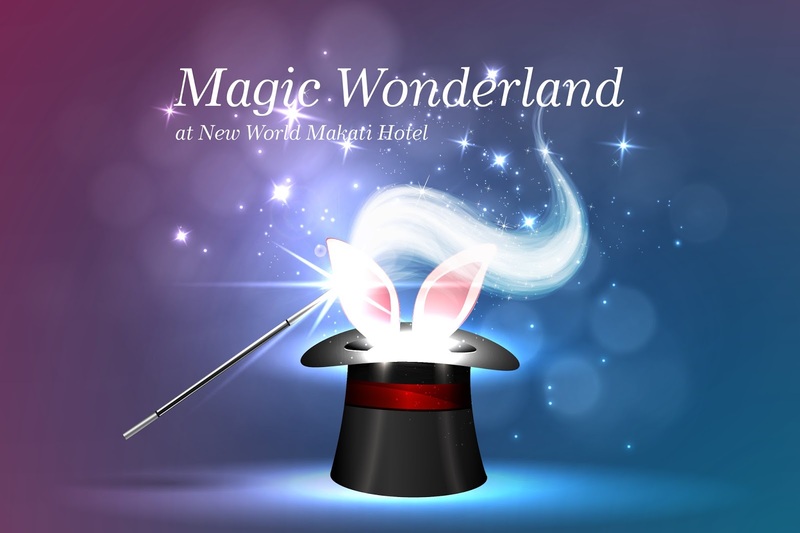 Besides the relaxation offered by the hotel’s completely refurbished rooms, guests can also enjoy buffet breakfast for two, an Easter surprise and two complimentary tickets to the Magic Wonderland activity on Easter Sunday, March 27, 2016 from 10:30 a.m. to 2 p.m. The ballroom turns into a whimsical wonderland with snacks, classic confections and summer refreshments as the children make their way through the various game booths and play areas with special prizes and giveaways, plus a live magic show and the egg hunt. Other enjoyable ways for guests to obtain tickets to the Magic Wonderland include availing of the Easter brunch offers at the hotel’s signature restaurants. 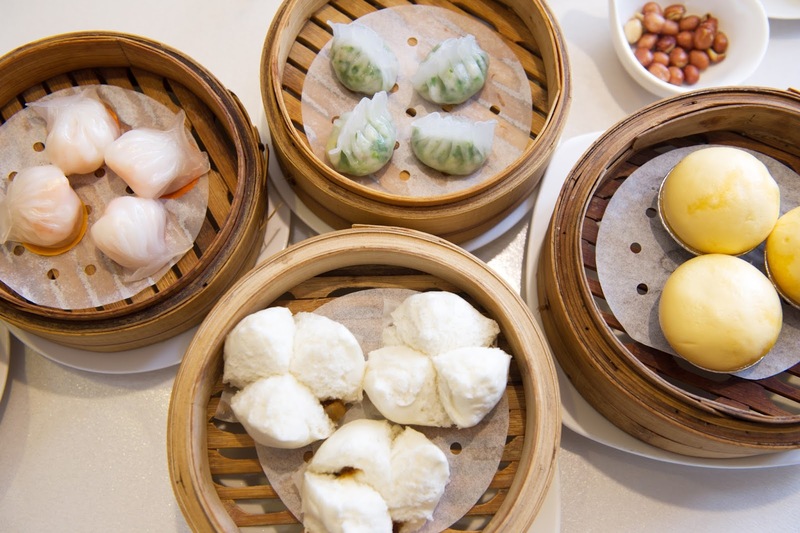 Jasmine’s Executive Chinese Chef Wong Kam On invites families to spend fun quality time while sampling the Easter Unlimited Yum Cha Lunch with a wide variety of freshly cooked Xiao Long Bao, Barbecue Pork Puffs and other dim sum specialties for Php1,688 per person. Each table will receive one ticket to the ballroom activity for a minimum spend of Php5,000 on Easter Sunday. 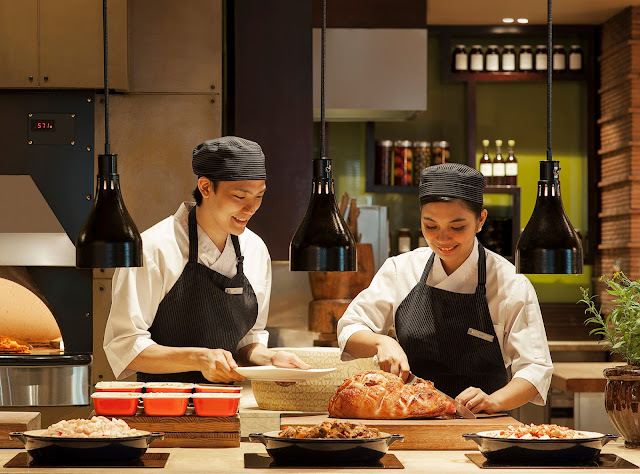 Café 1228’s Easter Sunday Brunch showcases an upgraded buffet spread with a salad station, an imported cheese selection with gourmet appetizers, local and international cuisines, grilled specialties and desserts for Php2,500 per person. Two adults enjoying the Easter Sunday Brunch will receive one ticket to the Magic Wonderland activity. Food and beverage rates include service charge. Truly amazing and glad to see these photos. I had my Easter party at a local event space. There was good food, awesome dance floor and amazing arrangements. Staff there was helping and polite. Really, it was one of best parties I ever attended.